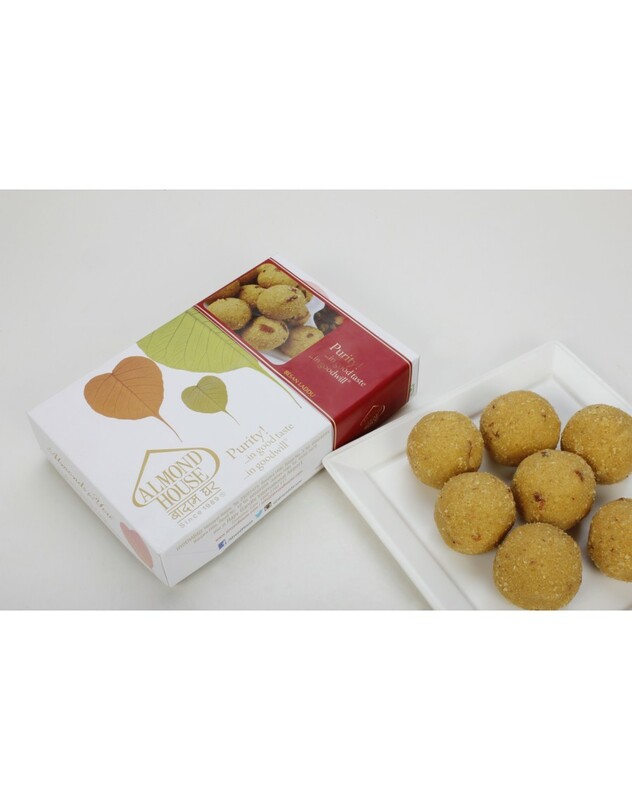 It is lip smacking flavoured ladoo. A perfect snack on the go, this one is loved by all. It is roasted till aromatic and mixed with desi ghee and sugar.